Whats It All About? 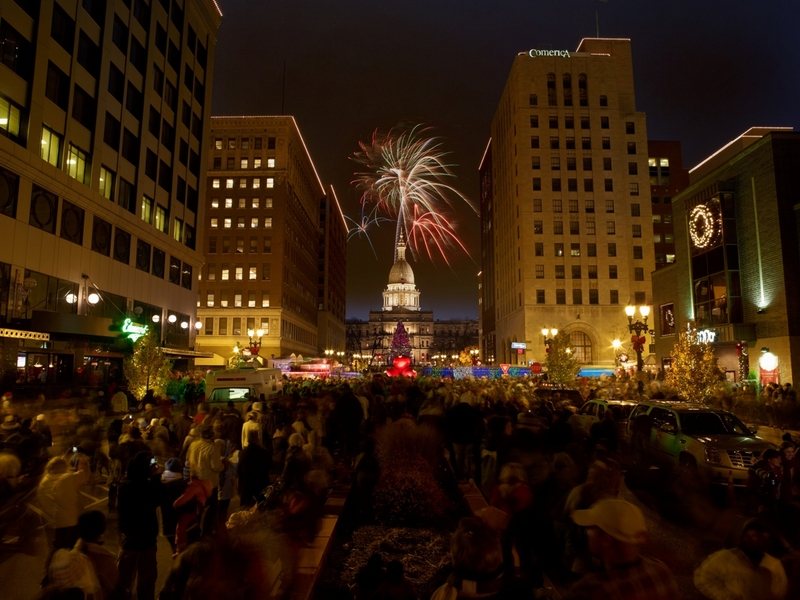 Once a year, on the Friday before Thanksgiving, downtown Lansing pulls out all the stops and invites the residents of Michigan to kick off the holiday season in style with the states premier event, Silver Bells in the City. 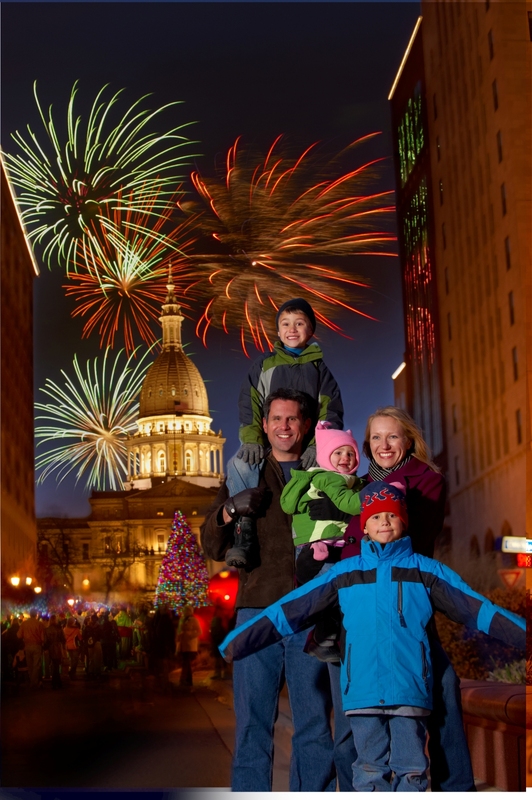 Join thousands of people on Friday, November 22nd and enjoy the crowd-pleasing Electric Light Parade followed by the lighting of Michigans official Christmas tree and a jaw-dropping fireworks display that lights up the sky behind the Capitol dome. Rounding out the evening, to the delight of tweeny boppers everywhere, find up-and-coming musical Radio Disney artists Macy Kate and the boy band IM5 performing live on the steps of the Capitol. A Bit of Background What began as a luminary-lit community sing led by Lansings mayor back in 1984 has grown into an event with millions of lights, over 50 live performances throughout the city and dozens of activities at local arts and cultural institutions. A small Santa parade was introduced on the Saturday morning of Silver Bells weekend in 1995 which has now evolved into the Electric Light Parade in which each float in the parade is required to have at least 5,000 lights adorning it. This year there will be 62 float entries and 11 marching bands to dazzle the crowds. The State of Michigan&apos;s participation in Silver Bells in the City started in 1987 with the first tree being selected, harvested, and delivered to the State Capitol. This years 71 foot blue spruce tree was donated by John and Barbara Waara of Iron River in the Upper Peninsula of Michigan. It travelled 460 miles from their backyard to the State Capitol and is the 19th state Christmas tree to be selected from the UP and the 28th tree overall. The other nine that have graced the Capitol lawn have come from the Lower Peninsula. The tree will be adorned with 4,500 to 5,000 LED lights and lit for the first time during Silver Bells. It traditionally stays in place until the New Year and is a favorite spot to take family photos throughout the holiday season. Get There! The electric light parade steps off from the corner of Hillsdale Avenue at 6 p.m. and heads north on Washington Avenue, turning west on Ottawa Street then heads south on Capitol Avenue, passing in front of the State Capitol Building. Free parking is available the night of Silver Bells in the City in all city of Lansing owned parking ramps during the event beginning at 5:00 p.m. Free parking is also available at 5:00 p.m. in the Lansing Community College parking ramp, State of Michigan locations including the State of Michigan Roosevelt ramp (corner of Ottawa and Seymour), State of Michigan parking lots behind the Hall of Justice off of Ottawa and Allegan, Lewis Cass Lot off of Kalamazoo St. and the lots South of the Michigan Historical Museum off of Kalamazoo St.
Lansings Capital Area Transportation Authority (CATA) also offers Silver Bells transportation. Ride for just 50 cents round trip fare when you board a Silver Bells bus route or use your CATA fixed-route pass. Children 42 inches and under ride for free. Make a Weekend of It! Many downtown businesses are offering extended hours to accommodate the crowds who would like to dine, shop and visit local attractions! Reservations are strongly encouraged for those looking to dine downtown at Lansing restaurants as most locations fill up quickly! 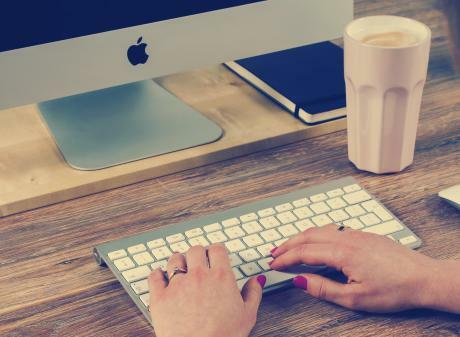 Book an overnight stay and enjoy the weekend. 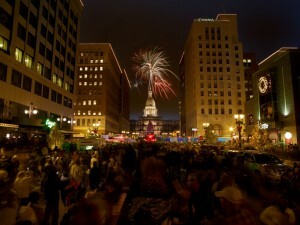 For overnight accommodations, shopping ideas, dining options and other weekend events, visit www.lansing.org.